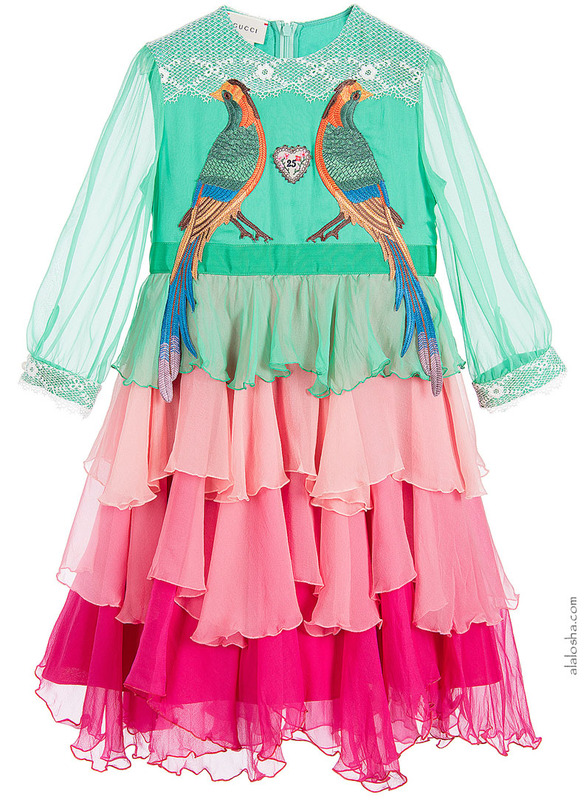 WOW is all we can say about this gorgeous green and pink luxury dress with colourful embroidered parrots by Gucci. 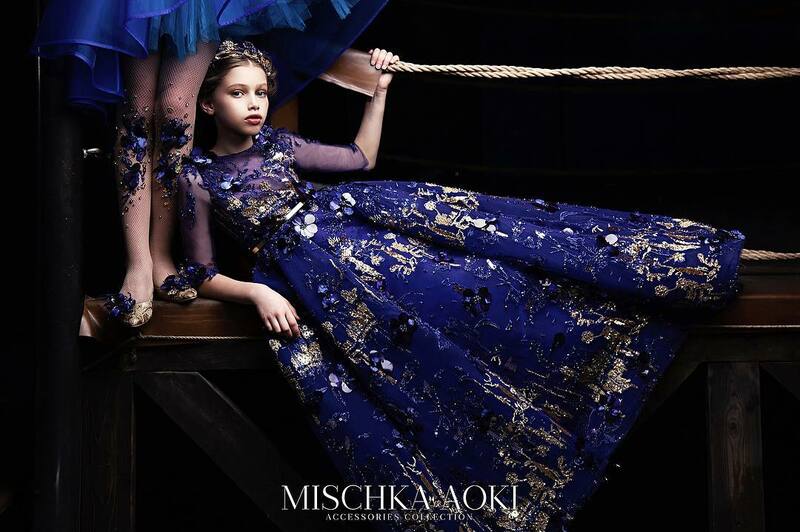 It is the most incredible statement dress we have ever seen! 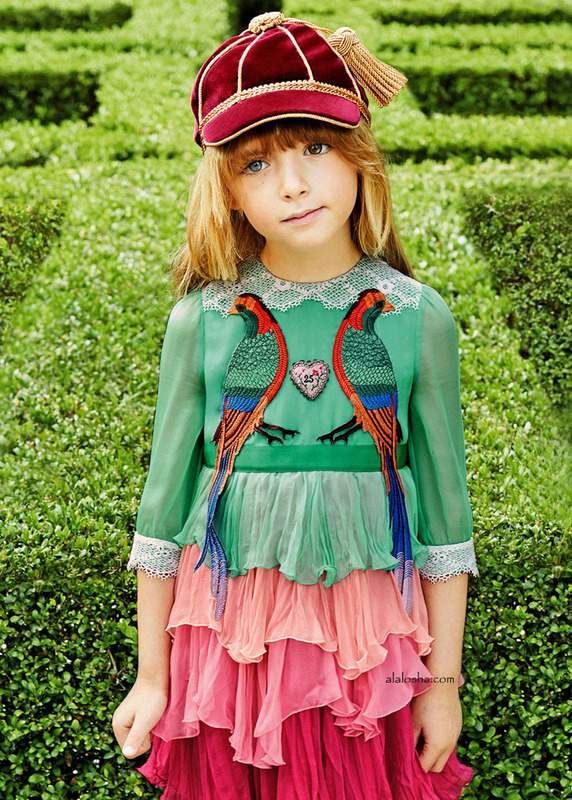 Girls gorgeous green and pink luxury dress made in silk chiffon by Gucci. 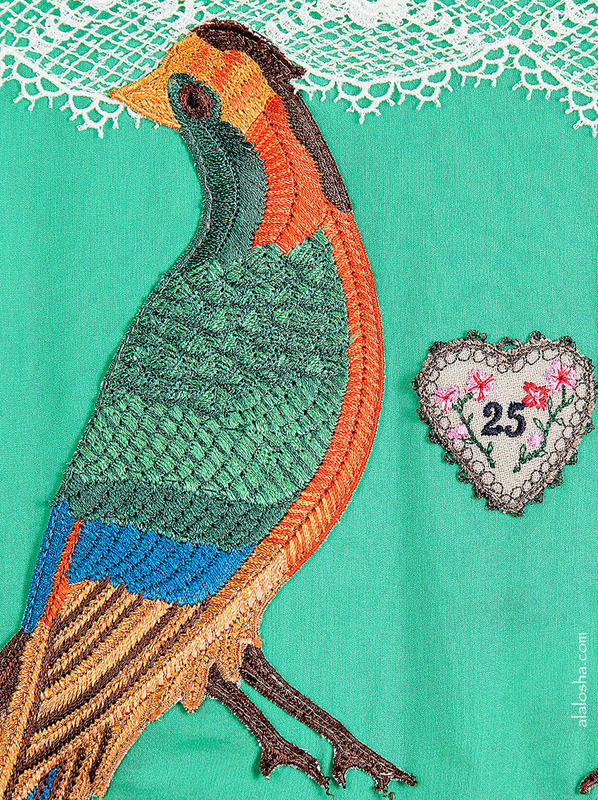 Lightweight and textured, it has a fitted bodice with colourful embroidered parrots and a heart appliqué with the designer's lucky number '25'. 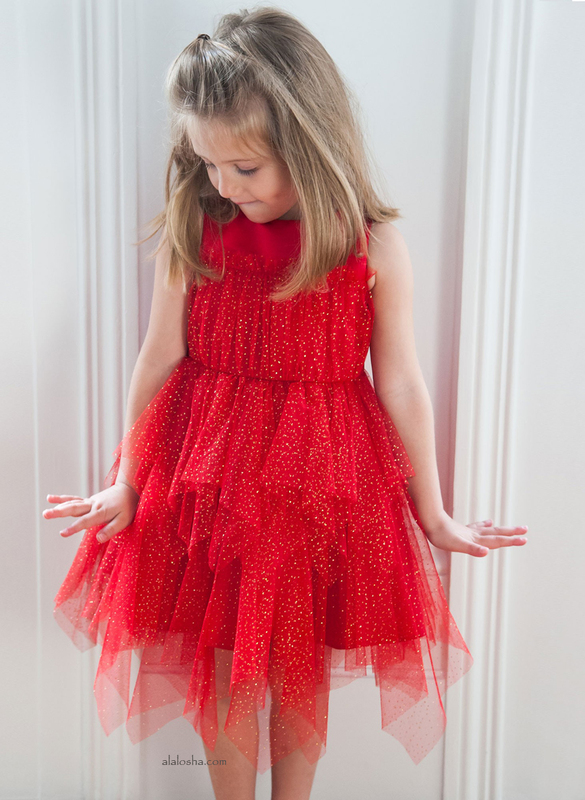 There is contrasting white lace on the shoulders and cuffs, which fasten with logo buttons. 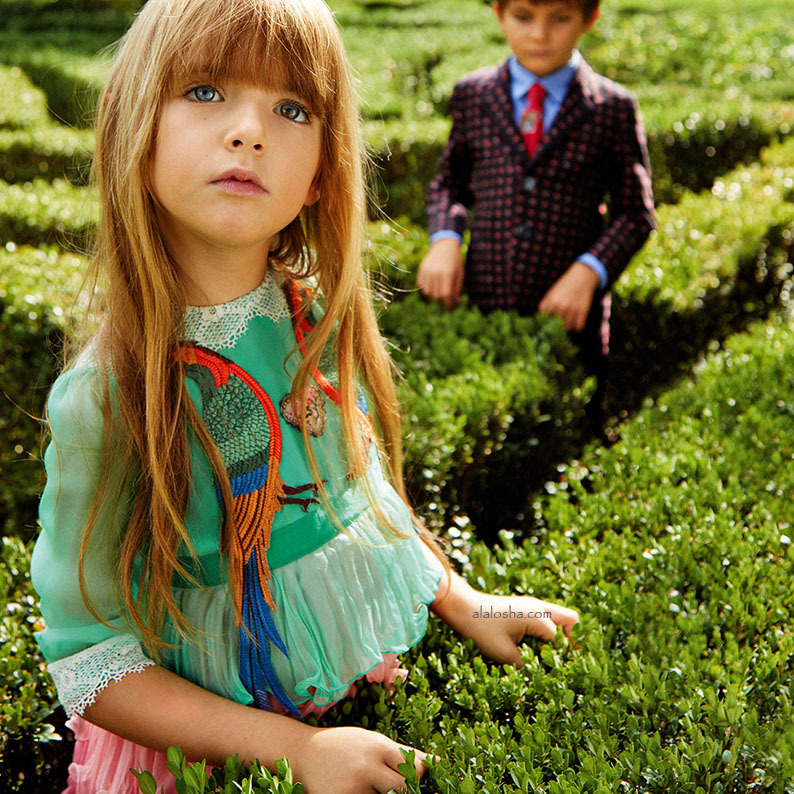 The grosgrain belt ties into a bow at the back and the skirt is made of ruffled layers in shades of pink. Lined, it has a zip fastener.